Hailing from Sweden, XTZ has expanded rapidly to produce a bewildering array of electronics and loudspeakers. The company focuses on trying to provide strong value for money and its products seem to be very competitively priced. The 99.26 is the second most costly standmount in the range, but still only sells for £670. Marketed under the ambitious strap of, 'The world's most affordable high end,' the 99.26 has a lot to live up to. First impressions are good. The pairing of a 6.5-inch SEAS mid/bass driver with a ribbon tweeter is extremely unusual at the price, and the cabinet is solid and finished to an extremely high standard in a smart piano gloss. The only area that meets, rather exceeds, expectations is the grilles: they are affixed using old tech lugs rather than magnetic trim tabs. This minor quibble aside, we can't think of another speaker built like this for under £1,000. Internally, the 99.26 is clever as well. The crossover is adjustable by means of removable links that allow the listener to alter the treble output between -4 and +4dB. The large rear mounted bass port is supplied with a full-length foam bung for tuning purposes. How a speaker interacts with a room plays a considerable role in the overall performance and XTZ has to be commended for giving owners more flexibility than most in getting this relationship right. Sensitivity is quoted at 88dB/w which is respectable, although the fact that impedance is given as four to eight ohms leads us to suspect that the figure quoted is more likely to be into four ohms, rather than eight. 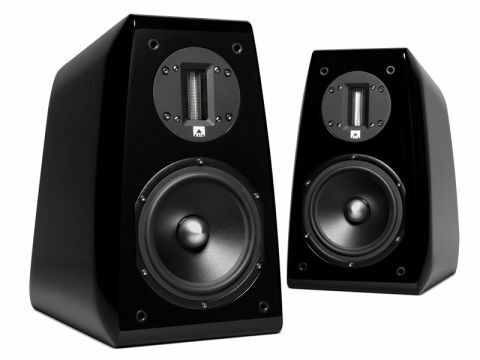 The speaker faces no shortage of competition, but the combination of high-quality components, excellent fit and finish and tuning options mean it has to be considered extremely good value for money. Even allowing for the need to budget for a decent pair of stands to allow them to perform at their best (XTZ sell a dedicated pair for £100) they are still a very strong proposition. We began listening with the bungs removed and the treble attenuation set to 0dB. Experimentation with placement resulted in us obtaining the best results with the bungs in place, a -2dB set on the attenuation and placement 25cm from the rear wall. Like many designs with ribbon tweeters, the 99.26 delivers an amazing insight into recordings. This is not the clichéd 'hearing things we'd never heard before', but more that it is astonishingly easy to follow every detail of recordings, however busy. The handover to the mid/bass driver is seamless and perfectly handled, and it presents a cohesive and tonally even version of events. Voices and instruments have a tangible reality to them, which is something many more expensive designs often struggle to pull off. This detail is well presented in a small, but believable soundstage. The presentation is relatively direct – the XTZs will not create the sense of space that some designs will, but neither is it a single beam of sound. Bass response is good. Fitting the bungs reduces the amount on offer, but the pay-off is an increase in speed and control that is lacking with the port in full flow. The negatives of the XTZ are relatively small. The extremely high resolution does mean that the 99.26 is unforgiving of poor recordings and will also show up limitations in sources and amplifiers. Although it costs £670, it really ought to be partnered with an amp that costs rather more. That amp will also need to be relatively powerful, as the 99.26 does seem to be somewhat insensitive. The final criticism is in the subjective area of timing. In comparison to the Epos Epic 5, the XTZ seems less able to get the feet tapping, but then the Epic 5 is something of a sector leader. There is a huge amount to like about the 99.26. This is a superbly built and very adaptable speaker. It offers a very even presentation and all at a competitive price. So, if your partnering electronics are up to the job and you mainly listen to well-recorded music, they are a must-audition.